The Raima Database API for LabVIEW provides a database management solution for CompactRIO and Single-Board RIO devices.It is the first database API to deliver relational data management locally on real time CompactRIO devices. The Raima Database APIfor LabVIEW allows LabVIEW programmers to quickly and easily design data management functionality into their LabVIEW programs.Raima’s VIs interface to RDM (Raima Database Manager, Raima’s mature, high-performance, multi-platform relational DBMS) on Windows, NI Linux Real-Time and real-time VxWorks. 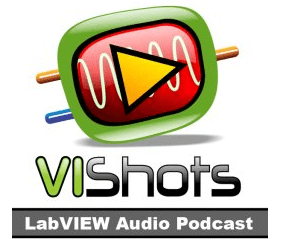 The VIPM package has been certified as Compatible with LabVIEW, and containsVIs, Example Finder, real-time modules, DLLs, help files and sample programs created specifically for LabVIEW programmers to reduce their learning curve and speed time to deployment. One or more cRIO or sbRIO devices may store local data without requiring connectivity to external database servers. be captured, and configurations may be shared through Raima functions. Extended functionality is available by downloading the full RDM SDK for Windows (see Downloads page), making it possible to share data between Windows and cRIO devices. RDM implements useful features like circular tables that can be queried by SQL to specifically meet embedded application needs. The Raima Database API for LabVIEW can be downloaded and purchased from the LabVIEW™ Tools Network site at www.ni.com/labviewtools/raima or directly from your Raima or NI Sales Representative. Support has ended and further development of the API has been discontinued from July 2015. Behind the Raima Database API for LabVIEW is Raima’s RDM database solution. RDM is a high-performance database management system that is optimized for operating systems commonly used within the embedded market. The database engine has been developed to utilize multi-core processors, run with minimal memory, and support both in-memory and on-disk storage. It provides a subset of the ANSI/ISO standard SQL (called Embedded SQL) that is suitable for running on a wide variety of computers and embedded operating systems which may have limited resources. Multi-Core Scalability- Efficiently use threads with transaction processing to take advantage of multicore systems for optimal speed. Store Databases on RT Device, In-Memory or On-Disk – Configure your database to run completely on-disk, completely in-memory, or a hybrid of both. Local storage allows disconnected and/or synchronized data operation. Windows/cRIO Interoperation – Create a database on Windows, use from both Windows and cRIO concurrently. Share/Use Databases – A cRIO database may be shared, other cRIOs on same network can use it. True Global Queries – Multiple shared databases may be opened together and queried as though they are one unified database. LabVIEW Native Interface for Windows, NI Linux Real-Time or RT VxWorks – Program and test your LabVIEW program on Windows, then move it to Linux or VxWorks for operation. Native interface is based on ODBC API. Security – Select AES 128, 192 0r 256 bit encryption. This Agreement includes the General Terms and Conditions set forth below and additional terms related to Software Development Kit, Distribution License and Maintenance and Support. 1.1. “Additional Reseller” means a reseller of Licensee’s Application(s). 1.2. “Affiliate” means any person, partnership, joint venture, corporation, or other form of enterprise, domestic or foreign, including subsidiaries, which directly or indirectly Control, are Controlled by, or are under common Control with Licensee. 1.3. “Application” means Licensee’s software application(s) that contains the Product as an embedded or bundled component. 1.4. ”Client” means a client-side machine, containing the Product libraries, which is connecting to a Server machine. 1.5. “Confidential Information” means non-public information of a Party including, without limitation, the Product(s), all software provided with the Product(s), the Source Code, and all algorithms, methods, techniques, and processes revealed by the Source Code, customer information, employee information, financial information and trade secrets. Confidential Information does not include information that: (a) was in the possession of, or was rightfully known by, the recipient thereof without an obligation to maintain its confidentiality prior to receipt from disclosing Party; (b) is or becomes generally known to the public without violation of this Agreement; (c) is obtained by the recipient in good faith from a third party without an obligation of confidentiality; or (d) is independently developed by or for the receiving Party as shown by the receiving Party’s prior written records. Confidential Information also does not include OSS in any form. 1.6. “Control” means the possession, directly or indirectly, of the power to direct or cause the direction of the management and operating policies of the entity in respect of which the determination is being made, through the ownership of voting securities (at least fifty percent (50%) of its voting or equity securities or the maximum as allowed by law), contract, voting trust, or otherwise. 1.7. “Documentation” means all Product-related materials, specifications, technical manuals, user manuals, flow diagrams, file descriptions, or other written information either, from time to time, received by Licensee from Raima or published by Raima. 1.8. “Employee” means an employee of Licensee permitted to access the Product(s) or a third party consultant engaged by Licensee permitted to access the Product(s) in order for Licensee to use the Product(s) as permitted under this Agreement. No third party consultant shall be considered an Employee for the purposes of this Agreement unless such consultant has executed a confidentiality agreement as required under Section 12.2 below. 1.9. “End-User” means an entity that licenses an Application for its own use from Licensee or its Additional Reseller. 1.10. “Feedback” means Licensee’s voluntary provision of comments, suggestions, or any other communication to Raima with respect to the Product(s) or Documentation. 1.11. 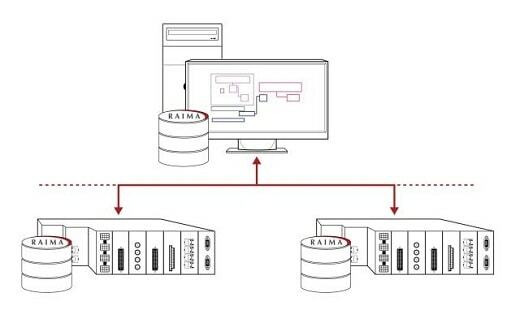 “Maintenance and Support” means the maintenance and support services for a Product to be provided by Raima. 1.12. ”Marks” means Raima’s trademarks, trade names, service marks or logos identified on Raima’s website. 1.13. “Open Source Software” or “OSS” means software that is released under a Software License that (1) permits each recipient of the software to copy and modify the software; (2) permits each recipient to distribute the software in modified or unmodified form; and (3) does not require recipients to pay a fee or royalty for the permission to copy, modify, or distribute the software. 1.14. “Party” means a party to this Agreement. 1.15. “Product(s)” means the Raima software product(s) licensed to Licensee under this Agreement, including all bug fixes, upgrades, Updates, and releases. Product(s) shall not include any Third Party Software or any OSS that may be included and distributed with the Product(s). 1.16. “License Fees” means those monetary fees that Licensee is required to pay for the right to reproduce, distribute, and Use the Product(s) under the Agreement. License fees may also be referred to as “Royalties”. 1.17. “Seat” means a copy of a Product, or any of its components, installed on a single machine. 1.18. “Server” means a Seat that resides on a single Server machine and is capable of accepting connections from one or more Seats residing on Client machines. 1.19. “Source Code” means the English language source code version of a Product, and any accompanying comments or other programmer Documentation, provided by Raima to Licensee pursuant to the terms of this Agreement. The capitalized term “Source Code” as used in this Agreement does not include OSS. 1.21. “Third Party Software” means software that is licensed separately by a third party and provided by Raima with the Product(s) or Documentation. 1.22. “Update” means a Product that has been modified in a minor way, including but not limited to bug fixes, and has been furnished to Licensee under this Agreement. For clarity, an Update is represented by a Product version number that increments to the right of the decimal point. 1.23. “Upgrade” means a Product that has been modified in a major way, and is released as a new version of the Product. An Upgrade is represented by a Product version number that increments to the left of the decimal point. 1.24. “Use” means storing, loading, installing, and/or running a Product, or displaying screens generated by a Product. 2. Grant of Limited License, License Types, Terms, and Limitations. 2.1. Software License Type and Terms. The following licenses are offered under this Agreement:. a) Software Development Kit (SDK). Subject to the terms and conditions of this Agreement, if Licensee purchases a Software Development Kit, Raima grants to Licensee a nonexclusive, nontransferable, revocable license for the sole purpose of developing the Application(s) A Software Development Kit does not grant the Licensee any right to sublicense, distribute, perform, disclose, publish or display the Product(s) to third parties. b) Distribution License. Subject to the terms and conditions of this Agreement, if Licensee purchases a Distribution License, Raima grants to Licensee a nonexclusive, nontransferable, revocable license to: (1) use and (2) directly or indirectly distribute internally and to End-Users, the Product(s) as an embedded component of the Application(s) under this Agreement. Raima will provide Licensee with a single master copy of the Product from which Licensee may reproduce copies, subject to the limitations indicated in Section 2.2 of this Agreement. Licensee may Use, reproduce, and distribute the Product(s) in object code form only. Licensee may not sublicense, distribute, perform, disclose, nor display Source Code for or to third parties. c) Marks License. Raima grants to Licensee a non-exclusive right and license to use the Marks solely for purposes of marketing or distributing the Product(s) as an embedded or bundled component of an Application and only in accordance with Raima’s Trademark Guidelines, which can be viewed at /about-us/news–events/trademark-usage/. The use of any of the Marks in connection with this Agreement will not create any right, title or interest in or to the Marks, and all use and goodwill associated with the Marks will benefit Raima. Licensee does not have the right or license to copy Raima’s trade dress. d) Documentation License. Licensee may reproduce, distribute, and publish the Documentation so long as all proprietary and other notices are left intact and reproduced with each copy of the Documentation. Licensee has no license to make any modification to the Documentation, including extracting a portion of the Documentation, without Raima’s prior written permission. e) Updates. Raima has no obligation to furnish Updates to Licensee but may, at Raima’s sole discretion, furnish one or more Updates. f) Limited Source Code Rights. Unless Licensee has purchased a Software Development Kit for a Product(s), Licensee may only use the Source Code for internal evaluation purposes and only as expressly set forth in this Section 2.1(h). Licensee shall not use the Source Code for production data processing purposes under any circumstances. Licensee shall not (a) rent, lease, sell, sublicense, assign, modify, disclose, distribute, publish, or otherwise transfer the Source Code, or (b) make copies of the Source Code except for one copy for backup purposes only (provided such copy includes all copyright and proprietary notices contained on the original). Licensee shall designate no more than two (2) Employees who may have access to the Source Code and shall provide the names of such Employees in writing to Raima in advance of providing such Employees access to the Source Code. Licensee may designate different Employees from time-to-time provided that no more than two (2) Employees have access at any one time and provided that Licensee provides advance written notice of the change to Raima. Licensee shall keep the Source Code in a separate, secured cabinet, safe or other secure area, which shall be maintained by the Licensee so as to reasonably preclude access to the Source Code by unauthorized persons. a) Licensee’s rights in the Product(s) are limited to those specifically granted in this Agreement. b) Licensee may not sublicense the license rights. c) Licensee may not reverse engineer, disassemble, nor decompile the Product(s), or otherwise attempt to discover the Source Code of the Product(s) or disable any embedded link(s) that are provided with the Product(s). In addition, Licensee will prohibit its End-Users and Additional Resellers from reverse engineering, disassembling, or decompiling the Product(s), or otherwise attempting to discover the Source Code of the Product(s) or disabling any embedded link(s) that are provided with the Product(s). Unless Licensee has purchased a Software Development Kit, Licensee’s access to Source Code is exclusively set forth in Section 2.1(f). d) Licensee may not remove any copyright, trademark, nor other proprietary notices from the Product(s), Documentation, OSS, Third Party Software or other media. Licensee shall retain all such notices on each copy of the Product(s), Documentation, OSS, Third Party Software, and other media. e) Licensee may not modify nor create derivative works of the Product(s), except to the extent that such modifications or derivative works are necessary for embedding or bundling the Product(s) in Application(s) and Licensee has purchased a Software Development Kit for such Application. Any such modifications or derivative works embedded in or bundled with an Application shall be immediately disclosed to Raima in source code form. f) Licensee may not use the Product(s) for commercial time-sharing or service bureau use, nor otherwise rent or lease the Product(s). g) Licensee’s right to reproduce, distribute, and/or Use the Product(s) is limited to the number of copies that Licensee has paid for. 3. Payment Terms. All license fees must be paid in full up front before use or distribution. 4. Proprietary Rights. Licensee acknowledges and agrees that Raima owns all right, title, and interest in and to Product(s), related Documentation, and Raima’s Confidential Information (and the media containing such Confidential Information) including, without limitation, all patent, trademark, copyright, trade secret, and other intellectual property rights related thereto. 2.2(e), Licensee agrees to assign to Raima, and hereby does assign to Raima, all right, title, and interest in and to all modifications made by Licensee without any additional consideration. All such modifications will be deemed a Product and the Use, reproduction, and distribution of such modifications by Licensee will be subject to the terms and conditions of this Agreement. 4.2 Licensee Feedback. From time-to-time Licensee may provide Feedback to Raima with respect to the Product(s) or Documentation. Licensee agrees to assign and hereby does assign to Raima, without any additional consideration, Licensee’s entire worldwide right, title, and interest in and to all of the Feedback, including but not limited to, Product patent rights, copyrights, moral rights, trade secret rights, mask work rights, or any other intellectual property rights, or proprietary rights arising from or in connection with such Feedback. 5. Books and Records/Verification. Licensee will at all times keep accurate books and records showing all financial transactions associated with this Agreement, the identity and number of Servers, Seats, and/or Clients where the Products are installed and/or accessed, records relating to Licensee’s sales and distribution activities, and records relating to distribution by Additional Resellers, if any. Raima will have the right, at reasonable times and upon advance reasonable written notice, to inspect and make copies of Licensee’s books and records for the purpose of verifying compliance with this Agreement. If any inspection reveals an underpayment of amounts owing to Raima, Licensee will promptly pay the difference. If any error is five percent (5%) or more of the aggregate amounts payable to Raima for the period reviewed, Licensee will pay Raima’s out-of-pocket costs with respect to that inspection and the subsequent inspection. Raima will not make requests for inspection more than two (2) times during each calendar year, unless an error was detected in a previous inspection. If an error was detected in a previous inspection, Raima may make inspection requests each calendar quarter for the remainder of this Agreement. 6.1. Warranty. Raima warrants to Licensee that each Product will perform substantially in accordance with the accompanying Documentation for a period of ninety (90) days from date of original delivery to Licensee, provided that Licensee has not made modifications to the Product. Raima makes no such warranty with regard to OSS or Third Party Software. 6.2. Exclusive Remedies. Raima’s entire liability and Licensee’s exclusive remedy for a Product that does not conform to Raima’s warranty in Section 7.1 will be, at Raima’s sole option, either: (a) repair or replacement of the nonconforming Product; or (b) refund of the fixed License fee(s) for the Product (but not any Maintenance and Support fees or pre-payment of Royalty fees). This warranty will only apply if Licensee notifies Raima in writing of the nonconforming Product during the warranty period. If Raima elects to refund the fixed License fee(s) for the nonconforming Product, the License for the Product will immediately terminate. 6.3. Exclusion of Warranties. Other than the warranty set forth in Section 6.1 above, Raima makes no representations or warranties, express or implied, concerning the Product(s), Maintenance and Support for the Product(s), Documentation, and any Third Party Software or OSS provided with the Product(s) or Documentation, if any, including the implied warranties of merchantability, fitness for a particular purpose, title, and non-infringement; or that the Product(s), and any such Third Party Software or OSS, will operate properly in an Application or be uninterrupted or error-free; or that Maintenance and Support will correct problems with the Product(s). Raima will not be liable or in any way responsible for the commercial success or failure of any Application in which a Product or any Third Party Software or OSS that is provided with the Product(s) or Documentation, if any, is embedded, or of any modification of any such Application. 7. Taxes. Licensee will pay all taxes (including, without limitation, sales, use, value added, and withholding taxes), duties, import, customs and export fees, and any other charges or assessments established by any governmental agency, except taxes imposed on Raima’s net income. 8. Disputes. This Agreement will be construed in accordance with and governed by the internal laws of the State of Washington, U.S.A., without giving effect to any choice of law rule that would cause the application of the laws of any other jurisdiction to the rights and duties of the Parties. The United Nations Convention on Contracts for the International Sale of Goods does not apply to this Agreement. Any dispute arising out of or related to this Agreement will be subject to the exclusive jurisdiction and venue of the Washington State courts of King County, Washington (or, in case of federal jurisdiction, the United States District Court for the Western District of Washington). 9. Export Restrictions. Raima and Licensee will comply with all U.S. export control regulations relating to the export of the Products. The Products may not be exported or re-exported: (a) in violation of any trade embargoes imposed by the U.S. government; (b) to anyone on the U.S. Treasury Department’s list of Specially Designated Nationals or the U.S. Department of Commerce’s Table of Denial Orders; or (c) to certain governmental end-users not explicitly authorized to receive Products by the United States Department of Commerce in the United States Export Administration Act; or (d) to any other country or person for which an export license or other authorization from the U.S. government is required without such license or authorization first having been obtained. In addition, the Products may be subject to local laws in non-U.S. jurisdictions that restrict the right to import, export, or use such Products. Licensee is responsible for ensuring compliance with all relevant legal restrictions on the export, import, and use of the Applications; provided, however, that Raima agrees use best efforts in providing Licensee with any information needed by Licensee to determine the export control status, or to obtain any export license or approval regarding the export of the Product under this Agreement. 10.1. Termination. Either Party may terminate this Agreement or any Addendum: (a) thirty (30) days after one Party gives the other Party notice of the other Party’s material breach of any provision of this Agreement, unless such other Party has cured such breach during such thirty (30) day period; (b) immediately upon notice in the event of a breach of the other Party’s confidentiality obligations; or (c) immediately if Licensee becomes insolvent, makes an assignment for the benefit of creditors, appoints (or has appointed on its behalf) a trustee, receiver or similar officer, or commences a proceeding seeking reorganization, liquidation, or similar relief under any bankruptcy, insolvency or similar debtor-relief statute. Pursuant to Section 6.2, if Raima elects to refund the License fee(s) for a nonconforming Product, the License for the Product will immediately terminate. 10.2. Effects of Expiration or Termination. Licensee agrees that upon expiration or termination of a the Agreement, it will (and will cause its Additional Resellers to) immediately cease all (1) Use, reproduction, and distribution of the Product(s), and (2) Use, reproduction, distribution, and publication of the Documentation. Licensee also agrees that upon expiration or termination of a Maintenance and Support services, Licensee will immediately cease all use of Raima’s Maintenance and Support services. Subject to Section 6.2, expiration or termination of this Agreement will not entitle Licensee to any refund and will not discharge Licensee of payment obligations accrued as of the date of expiration or termination. Nothing herein shall alter the rights with respect to Application(s) distributed to End-Users in accordance with this Agreement, prior to the expiration or termination of this Agreement. 11.1. Protection of Confidential Information. For a period of three (3) years from the date of receipt of any Confidential Information, or in perpetuity with respect to the Product(s), Source Code or related Documentation, the receiving Party agrees to protect the confidentiality of the disclosing Party’s Confidential Information with at least the same degree of care that it uses to protect its own similar proprietary information, but in no event less than a reasonable standard of care. The receiving Party will not: (a) directly or indirectly use, copy, reproduce, distribute, manufacture, duplicate, reveal, report, publish, disclose or cause to be disclosed, or otherwise transfer any Confidential Information of the other Party to any third party; or (b) use the Confidential Information for any purpose, except as expressly contemplated by this Agreement or authorized in writing by the other Party. 11.2. Limitation on Disclosure of Confidential Information. Licensee will limit the disclosure of Raima’s Confidential Information, including without limitation access to Source Code, if Licensee has purchased a Software Development Kit, to Affiliates and Employees with a need-to-know and who have been advised of the confidential nature thereof. No third party consultant shall be considered an Employee under this Agreement unless such consultant has been contractually obligated to maintain such confidentiality through signature of a nondisclosure agreement acknowledging the non-disclosure obligations of this Agreement and naming Raima as an intended third-party beneficiary. Licensee shall provide copies of these agreements upon the written request of Raima. Licensee shall be liable for any breach by any Affiliate or Employee of the confidentiality obligations contained herein. Upon request of the disclosing Party, or upon termination or expiration of this Agreement, each Party will, at its election, either: (a) promptly deliver to the disclosing Party any and all of the disclosing Party’s Confidential Information that is in the receiving Party’s possession; or (b) destroy the disclosing Party’s Confidential Information. 11.3. Required Disclosures. In the event a receiving Party is required under applicable law, rule, regulation, or court or administrative order to disclose Confidential Information of the disclosing Party, the receiving Party shall use commercially reasonable efforts to: (a) give at least ten (10) days prior written notice of such disclosure to the disclosing Party; (b) limit such disclosure to the extent practicable; and (c) make such disclosure only to the extent so required. 12. Infringement Indemnity. Raima will defend Licensee and pay the amount of any adverse final judgment (or settlement to which Raima consents) in any lawsuit or other judicial action that arises out of an infringement by a Product of any currently enforceable patent, copyright, or trademark of any third party. Licensee will defend Raima and pay the amount of any adverse final judgment (or settlement to which Licensee consents) in any lawsuit or other judicial action that arises out of an infringement by the Application of any currently enforceable patent, copyright, or trademark of any third party. This indemnity will only apply if the indemnified Party: (a) promptly tenders the defense of any claim or lawsuit to the indemnifying Party; (b) provides reasonable assistance in the defense of the claim or lawsuit; and (c) gives the indemnifying Party full authority to settle any such claim or lawsuit on the indemnified Party’s behalf. If a Product is found to be infringing, Raima will, at its option, (x) obtain the right for Licensee to continue using the infringing Product; (y) replace or modify the infringing Product so that it becomes non-infringing; or (z) refund Licensee’s license fee(s), if any, and a prorated portion of any fees pre-paid by Licensee for Maintenance and Support for the infringing Product. If Raima refunds Licensee’s fees for an infringing Product, Licensee will cease Using, reproducing, and distributing the infringing Product. Notwithstanding Raima’s obligations pursuant to this Section, Raima has no obligation or liability for any infringement claim or lawsuit arising out of or relating to: (a) a modification created by or at the direction of Licensee, (b) use of the Product(s) other than in accordance with the Documentation and the terms of this Agreement; or (c) use of the Product(s) in combination with any other hardware, software, or other materials where absent such combination, the Product(s) would not be the subject of the infringement claim. 13. Indemnification Procedure. The indemnified Party will: (a) provide the indemnifying Party with prompt written notice of any claim for which indemnification is sought, (b) cooperate fully with the indemnifying Party (at the indemnifying Party’s expense), and (c) allow the indemnifying Party to control the defense and settlement of the claim. Nothing in this section will prevent the indemnified Party from obtaining separate counsel for its own defense, at its sole expense, and the indemnifying Party agrees to cooperate in good faith with any such counsel. 14.1. Exclusive Remedy. Raima’s entire liability and Licensee’s sole and exclusive remedy from any causes of action including, without limitation, nonperformance or misrepresentation, and regardless of the form of action, whether in contract, tort, or any other legal theory, is limited to, in the aggregate, the amounts paid to Raima over the twelve (12) months prior to commencement of the cause of action under the Product and Pricing Addendum that is the subject of the cause of action. Licensee releases Raima from all obligations, liability, claims, or demands in excess of this limitation. 14.2. Liability Disclaimer. NOTWITHSTANDING ANYTHING IN THIS AGREEMENT OR ANY ADDENDA TO THE CONTRARY, RAIMA SHALL NOT BE LIABLE IN ANY AMOUNT FOR SPECIAL, INCIDENTAL, CONSEQUENTIAL, OR INDIRECT DAMAGES, LOSS OF GOODWILL OR BUSINESS PROFITS, WORK STOPPAGE, DATA LOSS, COMPUTER FAILURE OR MALFUNCTION, OR EXEMPLARY OR PUNITIVE DAMAGES, HOWEVER ARISING, EVEN IF RAIMA HAS BEEN ADVISED OF THE POSSIBILITY OF SUCH DAMAGES AND NOTWITHSTANDING ANY FAILURE OF ESSENTIAL PURPOSE OF ANY LIMITED REMEDY. 14.3. OSS Liability Disclaimer. NEITHER RAIMA NOR ANY COPYRIGHT HOLDERS NOR ANYONE WHO HAS MODIFIED AND/OR REDISTRIBUTED OSS SHALL BE LIABLE FOR DAMAGES, INCLUDING ANY GENERAL, SPECIAL, INCIDENTAL, OR CONSEQUENTIAL DAMAGES ARISING OUT OF THE USE OR INABILITY TO USE THE OSS (INCLUDING BUT NOT LIMITED TO LOSS OF DATA OR DATA BEING RENDERED INACCURATE OR LOSSES SUSTAINED BY LICENSEE OR THIRD PARTIES OR A FAILURE OF THE OSS TO OPERATE WITH ANY OTHER PROGRAMS), EVEN IF SUCH HOLDER OR OTHER PARTY HAS BEEN ADVISED OF THE POSSIBILITY OF SUCH DAMAGES. 15. Open Source Software. Raima may at Raima’s sole discretion provide OSS to Licensee for use with the Product(s). Licensee represents and warrants that Licensee will retain all copyright notices, text files, and licenses required for compliance with the licenses under which the OSS has been distributed to Licensee under this Agreement. Licensee acknowledges that Raima may provide additional copyright notices, text files, or licenses needed for compliance with any license under which OSS has been provided to Licensee from time-to-time during the term of this Agreement (“Updated Files”). Licensee further represents and warrants that Licensee will retain such Updated Files as required for compliance with the licenses under which the OSS has been provided to Licensee. Licensee further represents and warrants that it will not cause the Product(s) or Documentation to become subject to a copyleft software distribution license or copyleft document license, respectively. A copyleft software distribution license for purposes of this Agreement means a software distribution license that requires source code be made available to recipients of the software or that the software that is distributed be distributed under a license that permits copying, modification, and redistribution for free. A copyleft document license for purposes of this Agreement is a document license that requires the documentation including any changes thereto be made available to recipients under a license that permits the documentation to be copied, modified, and redistributed for free. Licensee agrees to indemnify and hold Raima harmless for any claim arising out of any use of the OSS provided to Licensee by Raima that is inconsistent with this Section 16. 16.1. Waiver and Severability. Failure by either Party to enforce any provision of this Agreement shall not be construed as a waiver of such provision. If any provision of this Agreement is held unenforceable by the court of competent jurisdiction the reainder of this Agreement shall remain in full effect. 16.2. Assignment. Neither Party may assign this Agreement, in whole or in part, without the other Party’s written consent; however, Raima may assign this Agreement without Licensee’s consent to a successor in interest or an Affiliate. Any attempt to assign this Agreement other than in compliance with this provision will be null and void. 16.3. Survival. The terms of this Agreement that by their nature should survive termination of this Agreement shall survive termination of this Agreement including, without limitation, the provisions concerning protection of Confidential Information, disclaimers, indemnification, and limitations of liability. 16.4. Counterparts; Facsimile. This Agreement may be executed in any number of counterparts, all of which taken together will constitute a single instrument. This Agreement may be executed and delivered electronically or by facsimile transmission. 16.5. Notice in General. All notices, requests, and other communications under this Agreement will be in writing and, or to such other addresses as provided in writing by a Party. Unless otherwise provided, notice will be effective on the date it is officially recorded as delivered by return receipt or its equivalent. 16.6. Notice Regarding Insolvency or Bankruptcy. In the event that a Party becomes insolvent, files a petition in bankruptcy, has such a petition filed against it, determines to file a petition in bankruptcy, or receives notice of a third party’s intention to file an involuntary petition in bankruptcy, such Party will immediately notify the other Party in writing. 16.7. Entire Agreement. This Agreement constitutes the entire agreement between Raima and Licensee with respect to this subject matter and supersedes any prior agreements or communications concerning this subject matter. This Agreement may only be changed, or any rights under it waived, by an amendment, in writing, signed by both Parties. 16.8. Reservation of Rights. In addition to any specific right or remedy under this Agreement, Raima reserves all other rights and remedies available at law or equity. 16.9. Force Majeure. Neither Party to this Agreement, other than for payments due, will be liable to the other for any failure or delay in performance under this Agreement due to circumstances beyond its reasonable control including, without limitation, natural disasters, war, terrorist threat, or government action; provided that if either Party is unable to perform its obligations under this Agreement for one of these reasons, it shall give prompt written notice thereof to the other Party and the time for performance, if any, shall be deemed to be extended for a period equal to the duration of the conditions preventing performance. a) Altered or modified Products or a combination of Products with software, hardware or other applications not covered by this Agreement. b) Errors or problems created by Licensee’s, misuse of the Products or problems resulting from hardware malfunction or by a malfunction in other software not provided by Raima. c) Questions concerning the adaptation or modification of Licensee’s Products, questions concerning third-party products, and questions concerning development usage. d) Third-Party Software or OSS provided to Licensee by Raima with a Product or Documentation. e) Licensee’s use of a Product that is not licensed under the Agreement. 3. Licensee’s Responsibilities. Licensee acknowledges and agrees to comply with all support and maintenance procedures, policies and manuals (“Raima Support Policies”) provided by Raima to Licensee with any Product or corresponding Documentation under the Agreement. Licensee will designate one or more Employees, who will be trained and knowledgeable concerning the Product(s) and the Raima Support Policies to be responsible for contacting Raima for telephone support. Licensee agrees to furnish written descriptions of any malfunctions in the form requested by a Raima Customer Support Engineer. Licensee agrees to assist Raima’s efforts to duplicate any errors or problems in Licensee’s Applications.